Gunshots Family vibez brings to you yet another hit tune in celebrations of Nigeria at 58 by it front-liner Mezaya. He titled this one “Ifeoma Follow Me”, and the sound has the fusion of reggae, afro and highlife feeling. The song was produced, mixed and mastered by Metrix Da illessproducer. 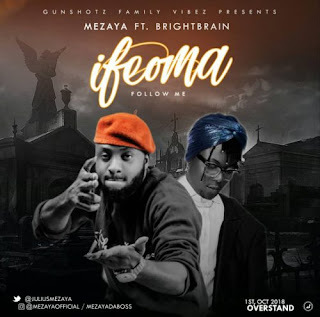 There has been no response to "Music: Mezaya Ft. Brightbrain – Ifeoma Follow Me"